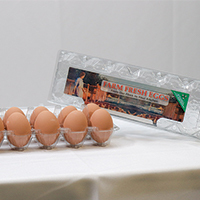 Let the true beauty of your eggs come through these eye-catching clear plastic egg cartons. Cartons are made from 100% post consumer recycled PET bottles - not only good for your business but better for the environment as well. 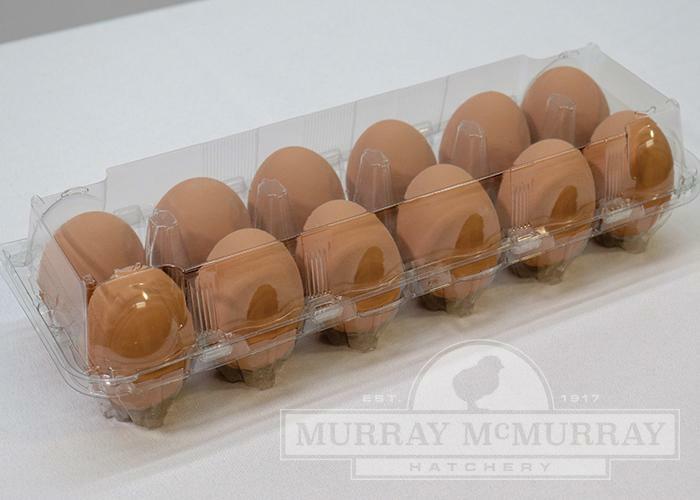 In addition, these egg cartons feature an optional colorful label with an area to apply your own name or business information for great advertising. 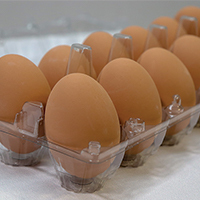 Each carton holds a dozen eggs. These clear plastic egg cartons can be easily washed for reuse, making them more sanitary than old paper cartons. 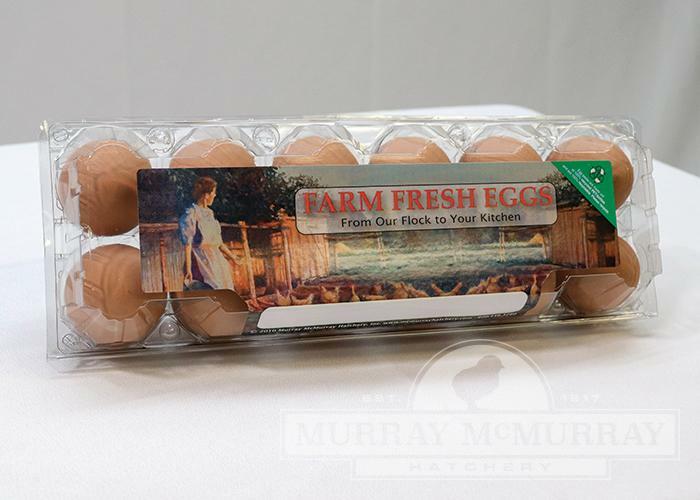 Be the first at the farmers market to display your eggs in these new colorful cartons and to receive compliments from your customers. For medium to jumbo size eggs. You can also purchase cartons without labels affixed. Included with these cartons are sheets of white labels which you can custom print with your own computer. Below is a blank label template that you can use to design your custom labels. Below is a blank label template that you can use to design your custom labels. Additional charges may be required for expedited shipping. Just received my cartons and labels. Is there a template for printing the labels? So cute!I’m in love with these cartons with the blank labels! 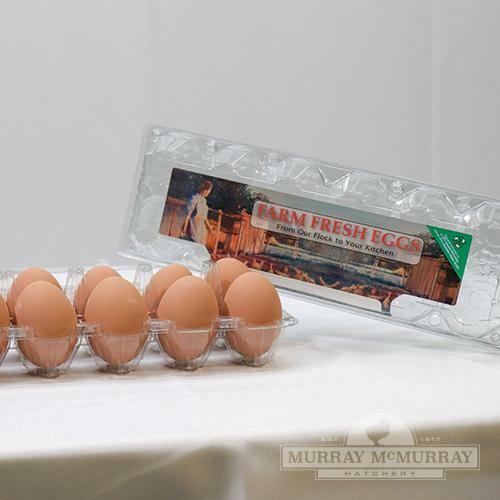 The labels I designed using the 1x12 egg carton template printed out perfectly! I can’t be any happier with the outcome. My fresh eggs now look completely professional. I really like that you can see through these cartons to show the different colors and assortment of eggs too. Label Template AwfulFirst let me say the egg cartons are exactly what my husband and I wanted. I purchased them with labels becasue I stupidly thought I would design and print my own labels. Spent hours designing and excitedly printed only to discover the vertical margins on the template are off! Not going to waist time trying to figure out how to reset everything. Extremly happy I only renewed Microsoft Word for a low monthly fee just so I could use the template. Will cancel my Word Subscription, continue to use Open Office, and buy labels from VistaPrint! Download a Word template. Please note, this is a blank template which you can use to design your own labels. The template does not include any graphics. Use this MS Word template for the 1x12 labels.